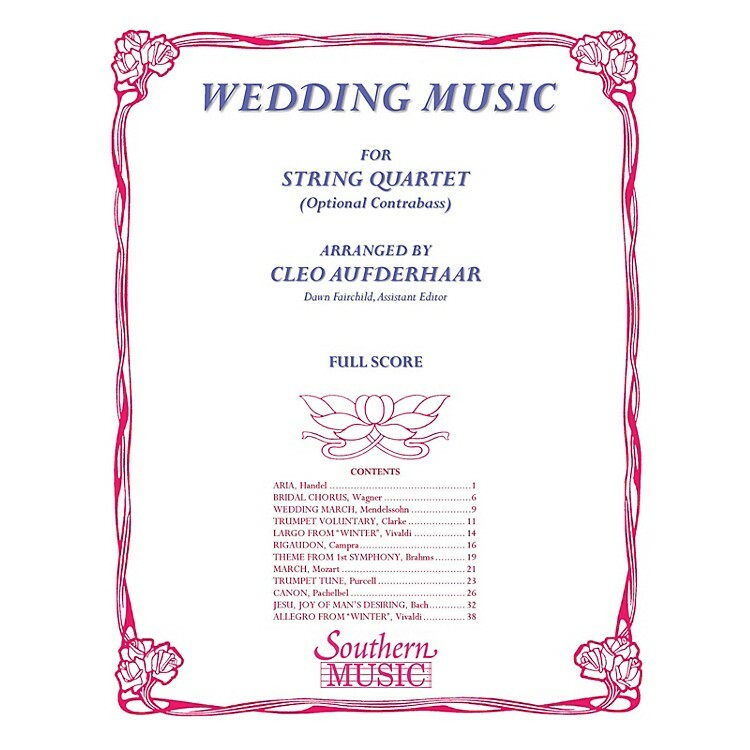 This extraordinary collection of wedding favorites is the perfect solution for wedding planners looking for just the right music for that upcoming wedding ceremony. The arrangements are appropriate for the string quartet of for strong orchestra. The optional contrabass part provides additional flexibility. Selections include: Aria (Handel); Bridal Chorus (Wagner); Wedding March (Mendelssohn); Trumpet Voluntary (Clarke); Largo from Winter (Vivaldi); Rigaudon (Campra); Theme from 1st Symphony (Brahms); March (Mozart); Trumpet Tune (Purcell); Canon (Pachelbel); Jesu Joy of Man's Desiring (Bach); Allegro from Winter (Vivaldi).